We are expecting very solid growth in tourists in summer’2018, which we couldn’t hope to achieve without active partnership with businesses. This was stated by the Minister of Tourism, Nikolina Angelkova, at the opening of the new season in Sunny Beach. She predicted a 5% growth of international visits this summer compared to the record-breaking 2017 and predicts growth from markets such as Germany, Israel, Poland, Czech Republic, France, even USA, where a digital advertising campaign for our country took place last year for the first time ever. The Minister indicated that travel for summer vacation at the Black Sea coast is among the most preferred by tourists in our country. This makes sea tourism a fundamental and key product for the entire sector’s sustainable development. Over 70 per cent of all tourists come to Bulgaria for their summer vacation, she emphasized recalling that during the June-September period of 2017 visits of international tourists exceeded 5.3 mil. We also expect that Bulgarians traveling during that period will increase to 1.9 mil., compared to 1.6 mil. the year before. Minister Angelkova congratulated the local government and state enterprises’ administration for the efforts to develop our biggest resort complex as an even more hospitable and attractive one. More visitors are expected here as well this season. One of the indicators is the increased number of booked flights to Bourgas Airport. The current stats indicate 18% growth in flights, there are more booked flights from Germany, Poland, UK, Czech Republic, and Israel. Last summer, over 756 000 spent nights in accommodation, wits the overnight stays exceeding 5 mil. The growth in revenues from overnight stays is nearly 6%, almost reaching BGN 270 mil. Minister Angelkova wished successful operation to the businesses and promised assistance in the resolution of all issues relating to service quality and high-grade servicing. We are selling high-grade quality at affordable rates, becoming an increasingly preferred summer destination, despite facing huge competition in the region, she concluded. 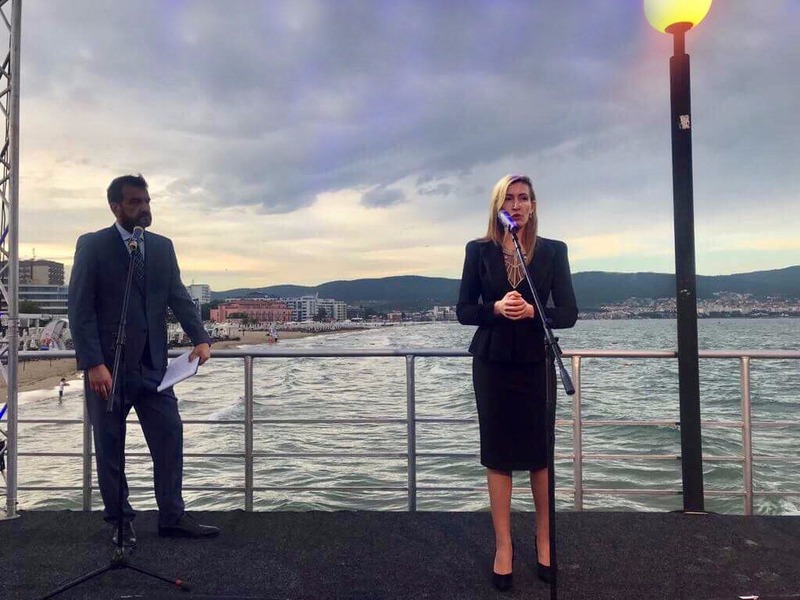 The opening ceremony was also attended by the CEO of Sunny Beach PLC, Zlatko Dimitrov, the MP’s Dimitar Boychev and Diana Savateva, the Deputy Governor of Bourgas region, Sevdalina Turmanova, etc.